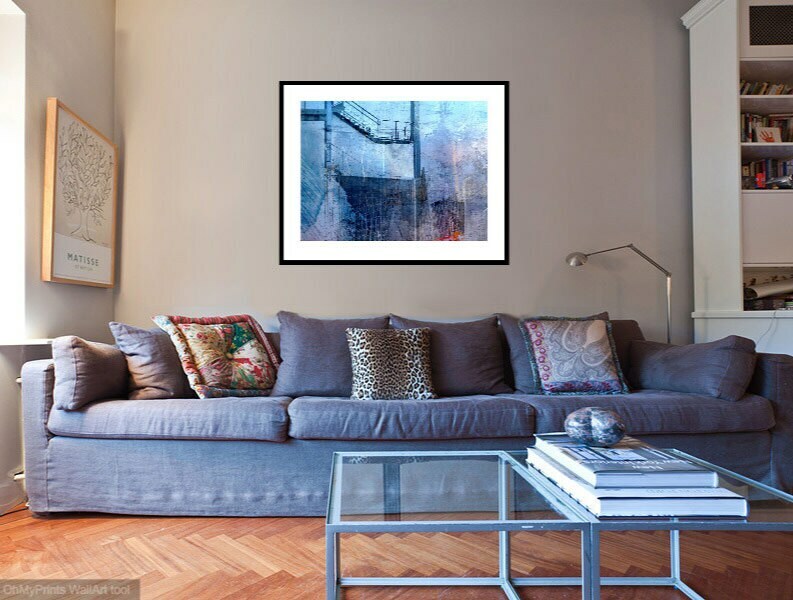 This limited edition fine art print is created from a process that blends my original photography, mixed media, and digital alchemy. Coming from a background in traditional printmaking, I bring a love of analog texture and paper and ink to all of my work, whether it is digital, mixed media or pure painting. This print is not a reproduction of a painting, but a contemporary print in which the print itself is the only form in which the artwork exists. 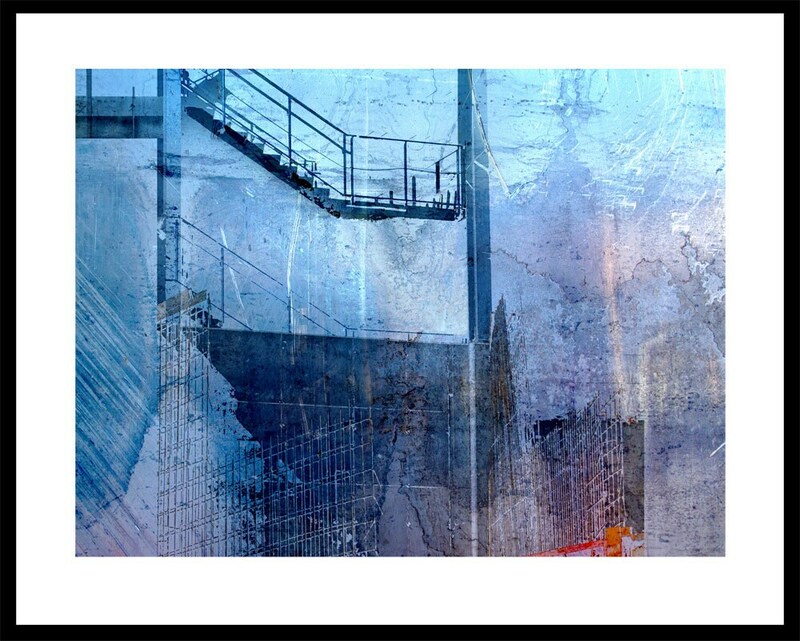 This print is part of a series called "Construction/Reconstruction" in which I explore the documentary poetry of urban ruins and construction sites. 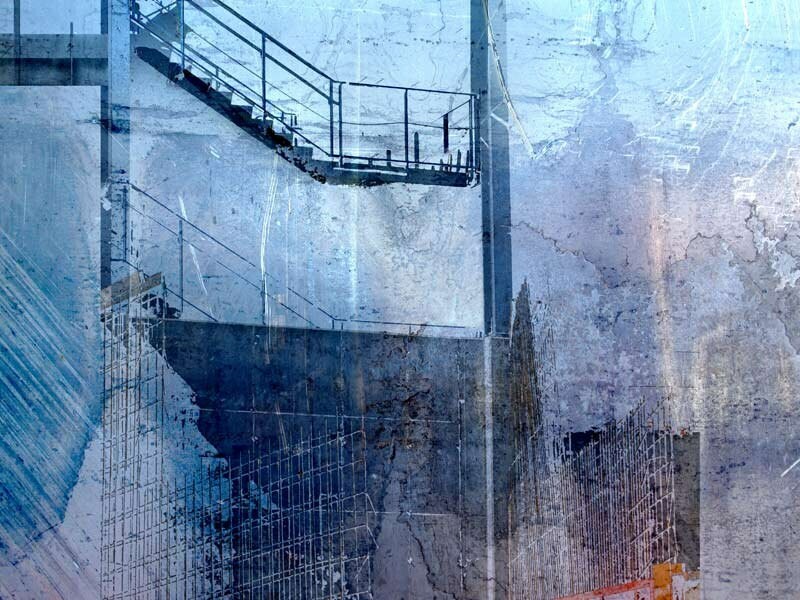 In these pieces I photograph a building site over time as it is either being destroyed or built. I compose the finished work from multiple photographic captures of the architecture, textures, weather and other elements of place, blending them to invoke the dynamic process of decay and renewal. I am happy to work with you if you are interested in a custom print of this image or another, on an alternate paper or presentation format such as face-mounted acrylic.